The Learning Curve Institute has had its quality assurance procedures agreed and verified with Ireland’s QQI since November 2009. The Learning Curve Institute is eligible to offer programmes leading to QQI awards on the National Framework of Qualifications at Levels 3 to 6. Since June 2001 QQI/FETAC has been the statutory awarding body for further education and training in Ireland. On November 6th 2012 FETAC completed its amalgamation with HETAC, NQAI and IUQB, and a new integrated agency called Quality and Qualifications Ireland (QQI). All awards will now be made and issued by QQI. Under this new system QQI Awards will be part of an aligned Common Awards System and QQI Providers will have to obtain validation for each individual QQI award they wish to deliver. QQI give people the opportunity to gain Internationally recognised awards for their learning. 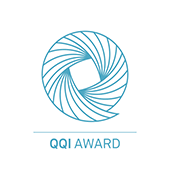 QQI's mission is to make quality assurance awards in accordance with national standards within the national framework, creating opportunities for all learners in further education and training to have their achievements recognised and providing access to progression. QQI complete routine and regular monitoring of The Learning Curve Institute’s procedures and policies to ensure maintenance of the highest possible standards for our learners. In addition, once learners have completed any QQI accredited course with The LCI, a QQI external authenticator checks all the papers for consistency in quality with national standards before any final marks are awarded. "A very clear and thorough results approval panel meeting was recorded by the provider." "Centre would appear to be well organised and structured in its approach." "FETAC external authenticator reports that material is presented in an orderly and timely fashion." "There is clear evidence in the documentation that this is a very well organised and managed centre." "Additional documentation covers all aspects of the learner process from enrolment through delivery, assessment, marking/grading, learner feedback, etc." "Each report is very sound"